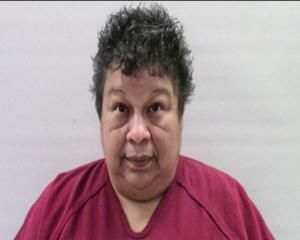 LOS FRESNOS — Two Cameron County employees have been arrested and charged with theft and tampering with government records for allegedly lying on their time cards. 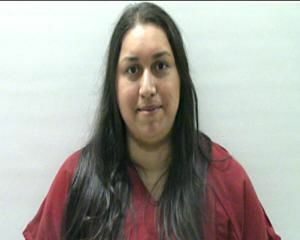 According to Cameron County Sheriff Omar Lucio, Los Fresnos Councilwoman Belinda Garza and Melissa Escalante both confessed to turning in official county time sheets for hours they had not worked. They are clerks for Cameron County Pct. 4 Justice of the Peace Juan Mendoza. Mendoza’s court is based in Los Fresnos. The 29-year-old Escalante was arrested on Sept. 10, and the 52-year-old Garza was arrested on Sept 11. Both women were given bonds of $5,000 for allegedly tampering with government records and $2,500 for theft. It is unclear how many hours investigators say the two women were paid for not working. Mendoza was not available for comment. It is also unclear if Garza and Escalante have been suspended or terminated. Phone calls to Escalante and Garza were not answered. Both women were magistrated by Louis Sorola. Garza was elected to Los Fresnos City Council Place 4 in 2015. Her term expires in November 2018. She is not on the ballot for re-election. According to Lucio, on Aug. 7 the Cameron County Auditor’s Office notified the Sherriff’s Department of an irregularity in time sheets for the two Cameron County justice of the peace clerks. Lucio said an internal audit conducted by the Cameron County Auditor’s Office revealed that employees of the justice of the peace were claiming they worked hours on the official Cameron County time sheet but had not reported for work those times. Lucio said both Garza and Escalante received compensation after submitting false official time sheets. Tampering with governmental records is a state jail felony and a one count theft, a Class A misdemeanor. The Cameron County District Attorney’s Office is still sorting through the facts before taking the case to a grand jury. No further information was available from the DA because the investigation is still ongoing.